A consortium of four Massachusetts community colleges, including Northern Essex Community College, and partnering vocational-technical high schools, local workforce investment boards, the Northeast Advanced Manufacturing Consortium and employers has received a $4 million federal TechHire grant to provide workforce training in advanced manufacturing in Worcester, Middlesex and Essex counties. Led by Mount Wachusett Community College in collaboration with Middlesex Community College and North Shore Community College in addition to Northern Essex, The Massachusetts Advanced Manufacturing TechHire Consortium (MassAMTC) has the support of major regional industry association partners, including the Northeast Advanced Manufacturing Consortium, which represents 13 different advanced manufacturing employers. MassAMTC is a strategic partnership of training providers, employers and the workforce investment system. 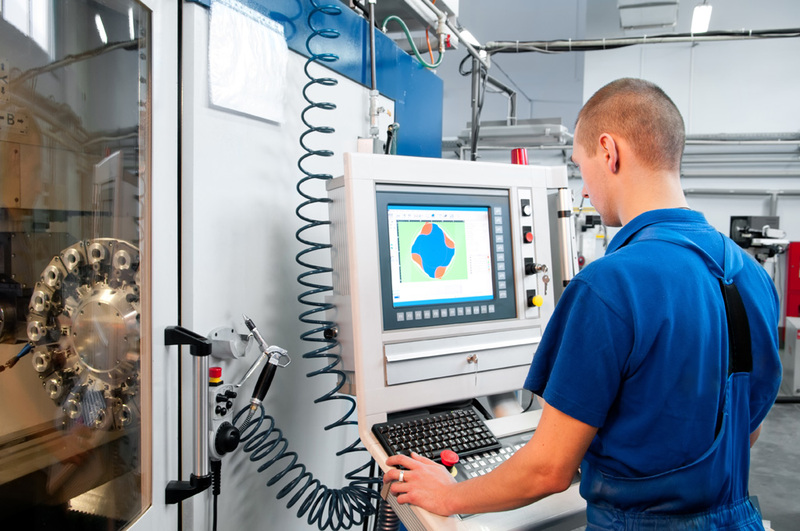 With this four-year grant from the U.S. Department of Labor Employment and Training Administration, MassAMTC will provide training, work-based experiences, support services and job placement assistance in advanced manufacturing to 300 young people and 100 other unemployed, underemployed, or dislocated workers. Under the Tech Hire grant and working in partnership with Whittier Regional Vocational School and Greater Lawrence Technical School, Northern Essex Community College will train 102 young adults, unemployed workers, and under-employed individuals for good-paying jobs in three in-demand advanced manufacturing careers: quality technician, electronics technician, and CNC machine technician. The programs are noncredit and will likely be offered in the evening. The first program, Quality Technician, will be approximately six-weeks long and the second two, Electronics Technician and CNC Machine Technician, will run approximately 25 weeks. Upon successful completion of the programs, trainees will receive job placement assistance from the ValleyWorks one-stop career center. Training is scheduled to start in January of 2017. Additional partners include the North Central Workforce Investment Board (WIB), Greater Lowell WIB, Metro North Regional Employment Board, North Shore WIB and Merrimack Valley WIB, Lowell Technical High School, Lynn Vocational Technical High School, Essex Technical High School, Whittier Regional Technical High School and Greater Lawrence Technical High School. More than $150 million in the H-1B TechHire grant program were awarded in July to 39 partnerships, providing training in 25 states across the country. More than 18,000 participants will receive services, with a focus on youth and young adults ages 17 to 29 with barriers to employment, as well as veterans and individuals with disabilities, limited English proficiency, criminal records, and long-term unemployment. For more information on Northern Essex’s involvement in this program, contact George Moriarty, gmoriarty@necc.mass.edu.